Phenotype" is presented on an elegant, wafer-thin USB card that contains the full album as lossless files and includes an additional PDF that provides liner notes and supplemental information. 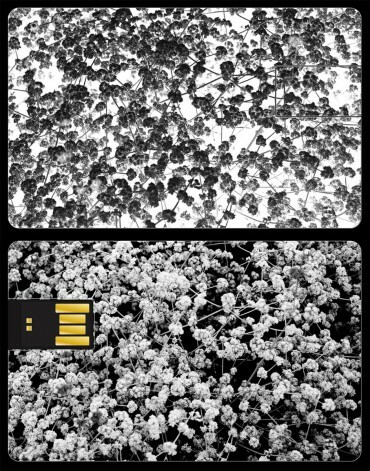 The fully printed USB card is delivered inside a custom-made, foil-printed A6 luxury black card box and is accompanied by two cards carrying four monoprinted images derived from Vallera's photography, one for each track of the album. 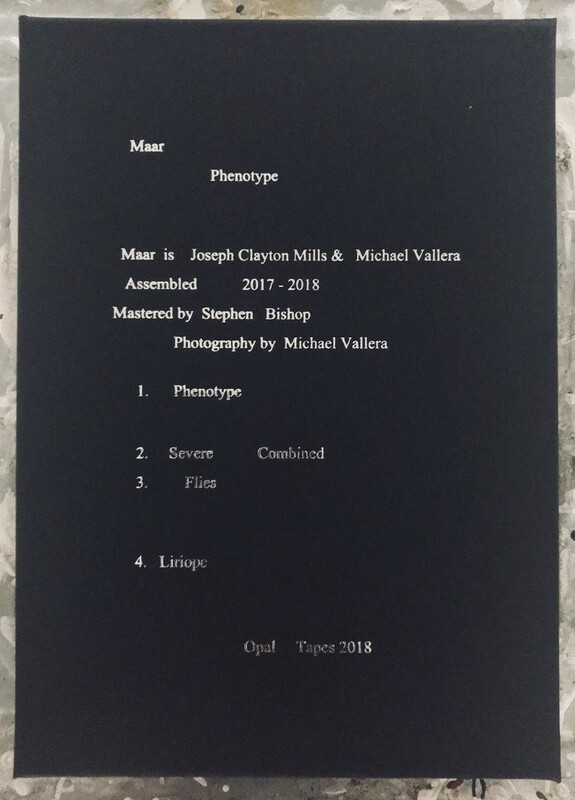 Formed in 2011, the Chicago-based duo Maar (Joseph Clayton Mills and Michael Vallera) have released a series of dense, hypnotic records that absorbs influences ranging from musique-concrete and synth-driven minimalism into a distilled musical vision. 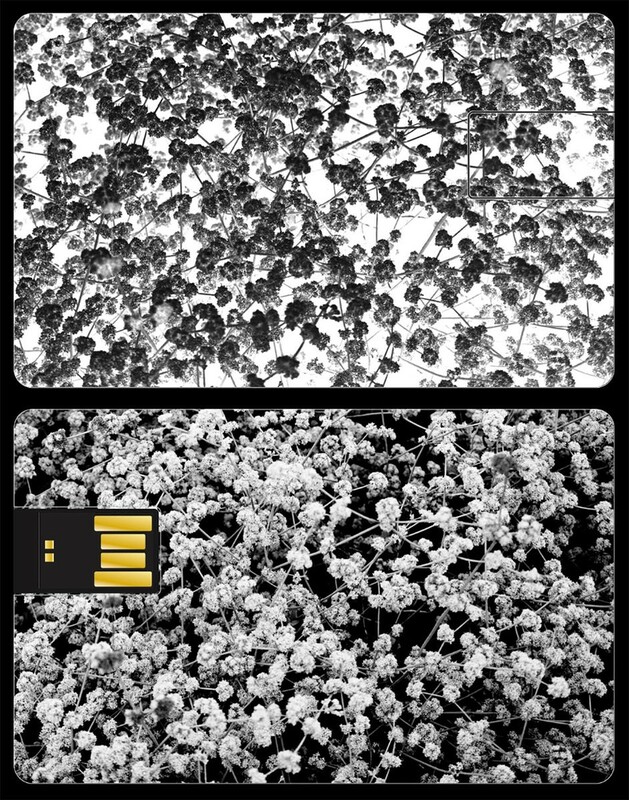 On Phenotype, they burrow further into the interstices between the natural and the inorganic, widening their vision and tightening their focus. Damaged landscapes and somber, incandescent drift for the end of the world and after.